San Francisco-based children’s apparel retailer Gymboree has filed for bankruptcy for a second time in less than two years. This time the company says it will be closing most of its stores, including all 49 of its Canadian Gymboree-branded locations. The announcement comes at a time when other retailers are closing stores in Canada, proving a challenge for brokers and landlords attempting to fill vacant spaces. Gymboree confirms that it will close all of its Gymboree and Crazy 8 stores while at the same time attempting to sell its more upscale ‘Janie and Jack’ chain of stores, as well as related intellectual property and e-commerce operations. The company, which was founded in 1976, operates hundreds of stores in Canada, the United States and Puerto Rico under its three banners. Gymboree employs more than 11,000 people (a mix of full and part-time). The company, which was acquired by Bain Capital for US $1.8-billion in 2010, sought Chapter 11 bankruptcy protection in June of 2017 which resulted in it closing more than 60% of its stores. Court papers indicate that Gymboree is hoping to raise US $155-million in net proceeds after disposing of inventory. An auction of company assets is expected to be held by February 25 of this year, and sales and store closings continue until the end of April. KPMG the bankruptcy trustee for Gymboree Inc. in Canada, and the company is seeking protection in proceedings pursuant to the Bankruptcy and Insolvency Act of Canada in the Ontario Superior Court of Justice (Commercial List). Gymboree operates 49 stores in Canada in the provinces of Ontario, Alberta and British Columbia, and Nova Scotia, with locations in many of Canada’s top malls. Some spaces will be easy to fill because some of Canada’s most productive centres have waiting lists of tenants wanting to get in. It’s not yet known if the store’s leases will be packaged for negotiation as was the case with Town Shoes’s parent company DSW who announced last year that it was shuttering the Town Shoes nameplate which had 38 stores. 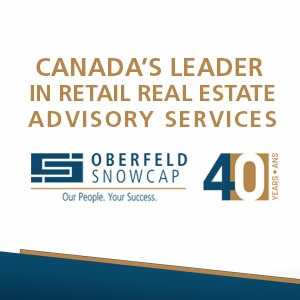 Shopping centres such as Yorkdale Shopping Centre and CF Toronto Eaton Centre in Toronto, Square One in Mississauga, Southgate Centre in Edmonton, CF Chinook Centre in Calgary and Oakridge Centre in Vancouver would not be a challenge to lease individually. These malls are among the most productive in terms of sales-per-square foot, according to the most recent Retail Council of Canada Canadian Shopping Centre Study. 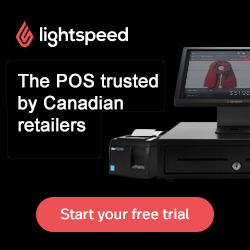 At the same time, locations in centres such as Orchard Park Centre in Kelowna BC, the Pen Centre in St. Catharines and Georgian Mall in Barrie may prove to be more challenging. Several other retail chains have announced that they are closing stores in Canada this year, as well. DSW Designer Shoe Warehouse, after acquiring 100% of Town Shoes Inc., announced in August of 2018 that it would shutter the entire 38-store Town Shoes chain. All Town Shoes locations will be closed by the end of this month. Canadian fashion retailer Reitmans is closing its chain of Hyba athletic fashions this month after launching it in 2015. Lowe’s will close 27 stores in Canada this year after the company bought out Canadian chain Rona, and we recently reported that some individual stores are closing such as Hugo Boss’ flagship on Toronto’s Mink Mile, as well as J. Crew at CF Toronto Eaton Centre. Some are now speculating that J. Crew may pull out of Canada entirely. Chico’s FAS, which operates Chico’s and White House Black Market stores in Canada (all in Ontario), announced this month that it was closing about 250 stores, and a source said they “wouldn’t be surprised” if the company shuttered its Canadian operations which failed to expand outside of Ontario after entering the country in 2014. Landlords are also grappling with filling larger spaces vacated by Target and Sears Canada — Target exited Canada in early 2015 amid billions in losses, and Sears Canada closed its remaining Canadian stores in early 2018. Other large retailers leaving large spaces include Future Shop, which was shuttered suddenly in the spring of 2015 by parent company Best Buy. At the same time, vacant space provides opportunities for retailers looking to enter a market, or update their store operations. TJX (operating Winners/Marshalls/HomeSense nameplates in Canada) and Indigo are examples of retailers taking advantage of vacated big-box space as they open new and replacement stores. When Saskatoon-based accessory retailer Spareparts went bankrupt and closed its stores in late 2017, Toronto-based fashion brand Vitaly secured many of its leases to open temporary locations. While some are concerned about stores closing in Canada, the reality is there are still more stores opening here than there are closing. In 2017, a record 50+ international brands entered Canada by opening stores, and 2018 was another banner year and the trend appears to be continuing into 2019. At the same time, consumer debt levels are at an all-time high, cost of living is on the rise (particularly housing), and consumers are shopping differently as they seek out experiences and the latest in technology. Despite the narrative that we’re in the midst of a ‘retail apocalypse’ (something more commonly asserted in the United States), physical retail is far from dead. Experts point out how physical retail drives sales to online channels, with some pure-play online retailers such as Warby Parker and Frank & Oak opening physical stores with considerable success. Retail is changing and becoming more competitive than ever, and those offering desirable product in engaging physical environments stand to prosper as the industry shifts and consumers seek out something new. We’ll continue the discussion next week where we examine experiential concepts that have worked well recently in this country, and how elements of those can be utilized by retailers seeking to drive traffic to their physical locations.